Mertaban: War in Iraq or Afghanistan or Osama bin Laden or Saddam Hussein. Don't ever compromise on Islam! And don't ever compromise on your Muslim brothers and sisters in which you have no evidence. 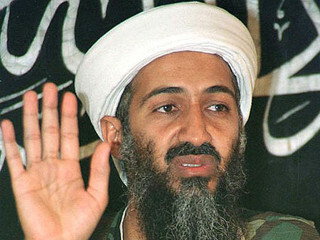 Osama bin Laden- I don't know this guy. I don't know what he did. I don't know what he said. I don't know what happened. But we defend Muslim brothers and we defend our Muslim sisters to the end. Is that clear? I am not saying support terrorist acts. I am not saying any of that. I am saying generally speaking. If a man comes and robs a store – if you're going to rob the store, go ahead and rob the store, are we going to condemn him? No, you support your Muslim brothers whether it is right or wrong. When they do wrong you grab them and you slap some sense into them, you're doing wrong. You see what I am saying. So you never compromise on your faith. You be confident in every aspect of life. In every aspect of Islam you are confident. Four wives? Yes men are allowed to have four wives within this context. Jihad? Yes Jihad! Jihad is the tightest thing in Islam. Don't compromise on these little things. Be proud of it. Why? Because Islam is a perfect religion. If you sit here and you start saying, 'Jihad is only an internal this and that,' you are compromising on your faith.